This article first appeared in Issue 54 Autumn 2018 of From the Ground Up, Vic No-Till’s member magazine. To become a member and access the latest in regenerative farming systems in Australia join the Vic No-Till farmer network HERE. Young Wimmera farmer and agronomist Ben Cordes takes a measured and well considered approach to life, understanding the journey ahead needs forethought and planning. As the fifth generation on his family’s cropping land at Ashens moves towards spending more time on the farm the 30-year old has put plenty of thought into his long-term vision and aspirations. And it all comes down to the farm’s most valuable asset – its soil. Ben’s appreciation and passion for healthy soils stems right back to his childhood. He says he was fortunate to have ‘the perfect upbringing’ and has always loved being out in the paddock. “Where else would you rather grow up than on the farm, where you’ve got free range of a big playground of paddocks getting out with dad going around the crops, and doing those fun things farm kids do? It was a childhood of riding motorbikes, swimming in the dam, having a number of different animals as pets and getting my hands dirty. During the mid to late 90s, the farm followed a conventional system similar to most in the district. Although there was a growing movement of no-till farming, they didn’t go down that path at the time. About 12 years ago, while Ben was still at school, his father Andrew leased out most of the farm and Ben pursued a building and carpentry trade. After finishing his pre-apprenticeship course he found work in Horsham but driving to work each day past air seeders in paddocks was a daily torture he couldn’t bear. Ben enrolled in the two-year Advanced Diploma of Agriculture course at Longerenong College. The year was 2007 and the region was firmly in the grips of the Millennium Drought. In July of that year GWMWater storage levels were at just 5.6% capacity and in August the whole of Victoria became fully covered by Federal Government exceptional circumstances drought assistance for the first time. As the momentum of the Vic No-Till network of farmers helping farmers grew, they held their annual conference at Longerenong, bringing internationally-acclaimed soil scientist Dr Jill Clapperton from the US to the region to share her latest global research and knowledge. But it wasn’t the facts and figures of science and soils that struck the eager young future farmer in the audience, Jill sparked something else in Ben that continues today – an enthusiasm and passion for learning more about life in soils. “It wasn’t so much the specifics of what she said, but it was her enthusiasm about all these little creatures and a whole soil web that is happening underneath our feet. She revealed this whole life I knew so little about. We’re taught about the chemical and physical properties of the soil but we’re not taught a lot about its biological properties. Ben came away from the conference believing the agricultural industry needed to understand soils more rather than drip-feed crops with inputs. Ben’s wheat 2018, adopting inter-row sowing. While he was studying, Rupanyup business Tylers Rural gave Ben the opportunity to pursue an agronomy career and he was able to combine classroom teachings with practical, hands-on experience with farmers out in their paddocks while transitioning into the role. Ben credits Longerenong for giving him a better understanding of the importance of managing the farm business and taught him how to budget and plan and gain a clear direction of where to take the farm business in the long-term. He also enjoyed being surrounded by like-minded and upon leaving, sought out Vic No-Till to continue his interaction with people striving for similar ideals. Vic No-Till past president Paul Oxbrow saw something in the young agronomist and in 2010 asked Ben if he could take him on as a client. Paul and Ben regularly crossed paths in the community and through their involvement with the Rupanyup Barley Banquet. 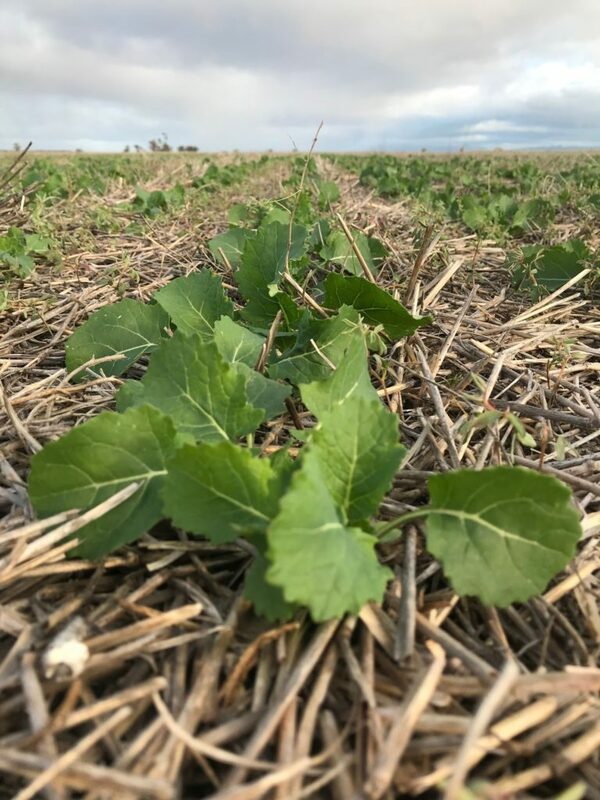 Paul was looking for an independent agronomist with a good understanding of the area but more importantly, someone could help him take his no-till system to new heights. Paul Oxbrow’s cool season multi-species cover. Ben says transitioning to a disc seeder was one of the significant changes he worked through with Paul, resulting in a completely new approach to the way Paul cropped his farm. “Understanding the disc system is quite complex and that’s something I’ve really enjoying trying to understand. This has presented opportunities for Paul to do more work in improving his soils and moving into more of a regenerative system as opposed to just a zero-till system. 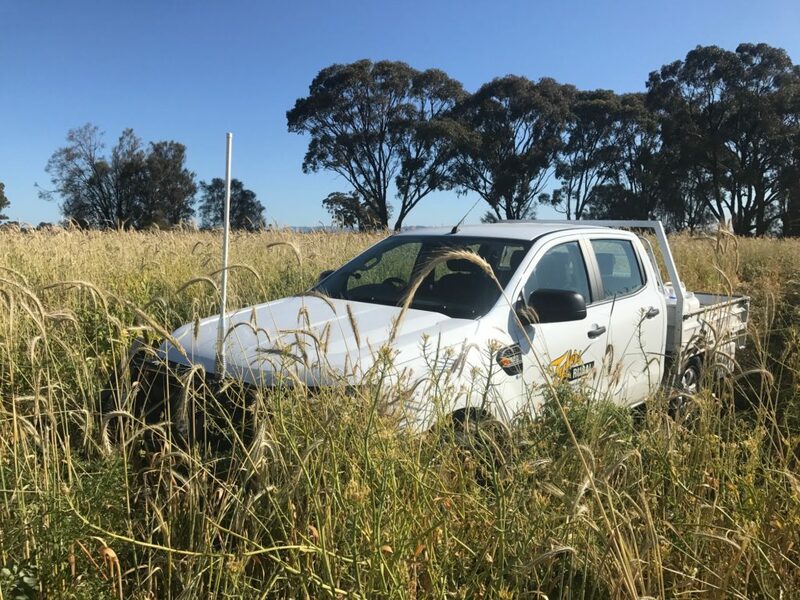 Ben has also helped Paul manage a paddock-scale cover crop project over the past three years, which when they started was the only one of its type in Victoria. One of the biggest lessons for Ben is that taking risks can have many rewards, even when they don’t give you the results you expected or hoped for. In his role as agronomist Ben has learnt the value of farmers having a sounding board for their ideas, no matter what style of farming system they have. He’s also learnt that if you’re going to make changes you need to 100% believe in it. During the past decade Ben has seen an increasing awareness of the relationships between plants, soils and sunlight. “The pioneers of no-till have certainly shown how we can improve and continue to maximise our production with less water. As a result of others seeing this, there has been an extensive adoption of no-till systems in this area and there aren’t many paddocks which aren’t no-till to some extent. Ben sees a positive future for Australian agriculture but says it’s essential for continued research into ways to improve water-use efficiency and build more robust farming systems. As far as his own future goes, which is focussed on expanding and having a sixth generation continue the family farm business, Ben is looking forward to getting his hands dirty again. As parts of the family farm come out of lease, it is allowing Ben to become more involved in its day-to-day operation with Andrew. 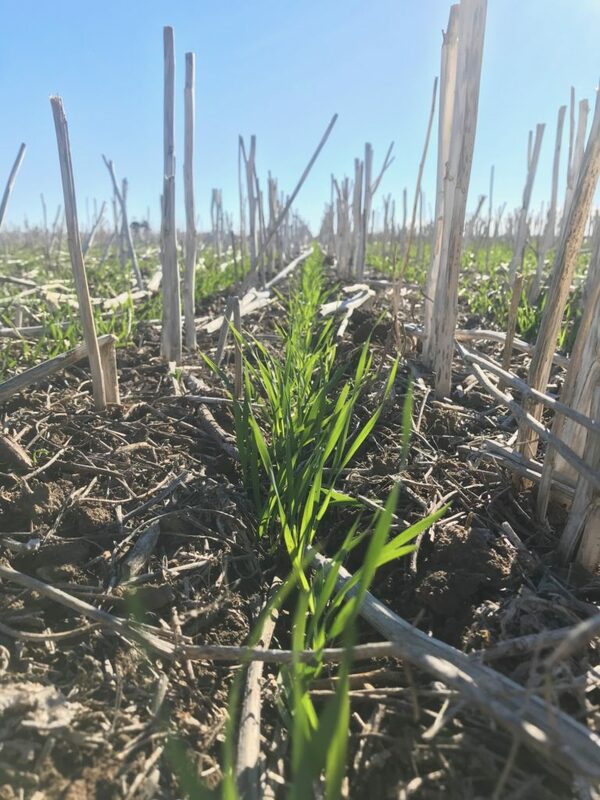 He feels like he’s been given a head start by the lessees of their land who have actively followed the lead of Vic No-Till and have been running on a zero-till CTF system where they retain stubbles and don’t burn. “The soil health on our farm is certainly in a far better state now than it was 10-12 years ago. This is just fantastic for me to know that I’m well on the way of creating that resilient farming system,” he says. Although he hasn’t been able to invest in a disc seeder at this stage and has instead purchased a knife-point press-wheel seeder with disc coulters, he still hasn’t lost sight of his long-term goals. “Whilst considering all options in terms of a farming system, it’s very important to do things in a timely manner. This meant we had to update our machinery and purchase a knife point press wheel seeder with disc coulters to enable us to get crop in on time whilst maintaining a full stubble retention system. We couldn’t go to that next level and purchase a disc because of initial financial outlay but it’s about making the most with what we’ve got. We will still see some short-term benefits with the tyne and converting wheel spacings to 3m and introducing CTF where possible, which will hopefully make the long-term switch to a full CTF, disc system easier. Part of this will be adding pollinator plots as part of a Wimmera Catchment Management Authority project which is funded by the National Landcare Program. The Integrated Pest Management project follows up on a visit from US entomologist Dr Jonathan Lundgren as part of Vic No-Tills 2016 conference. Jonathan highlighted how the inclusion of pollinator plots of flowering grasses, herbs and wildflowers within and around crops provide habitat for insects beneficial for crop production. He is the type that needs to see, touch and feel changes and says having face-to-face conversations with growers about their experiences resonates more strongly with him than reading or seeing something online. “Seeing for me is convincing. If it looks right, smells right and I can hear something in person it gives me a lot more confidence and incentive to try something different. There are so many different ways to grow a plant and you constantly need to be looking for new ideas.